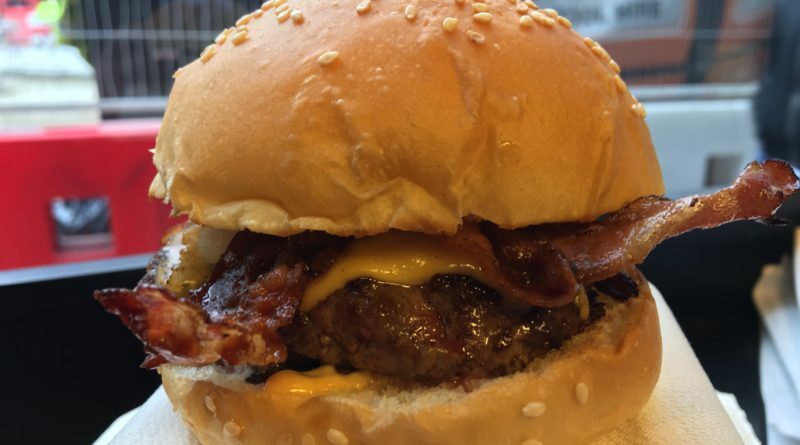 Beef, American cheese, onion, bacon & sauce. 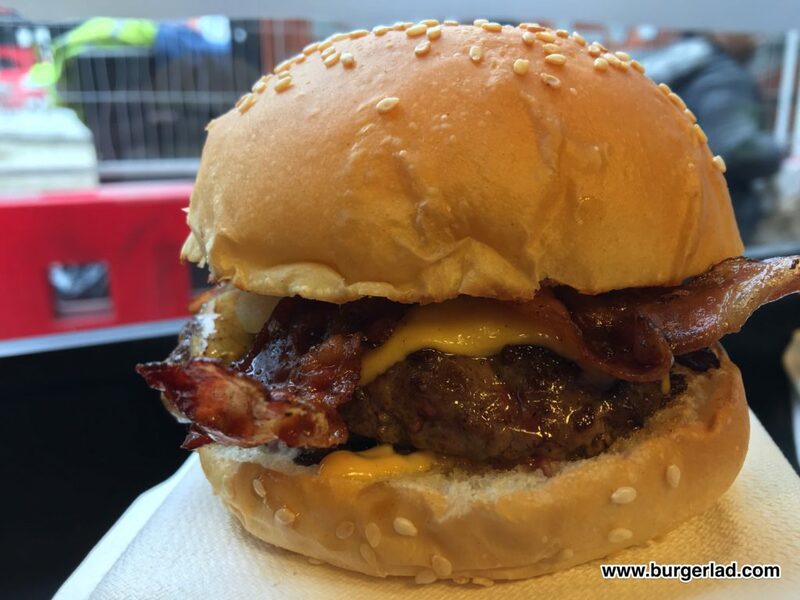 Bleecker Burger is one of those names synonymous with the London burger scene. 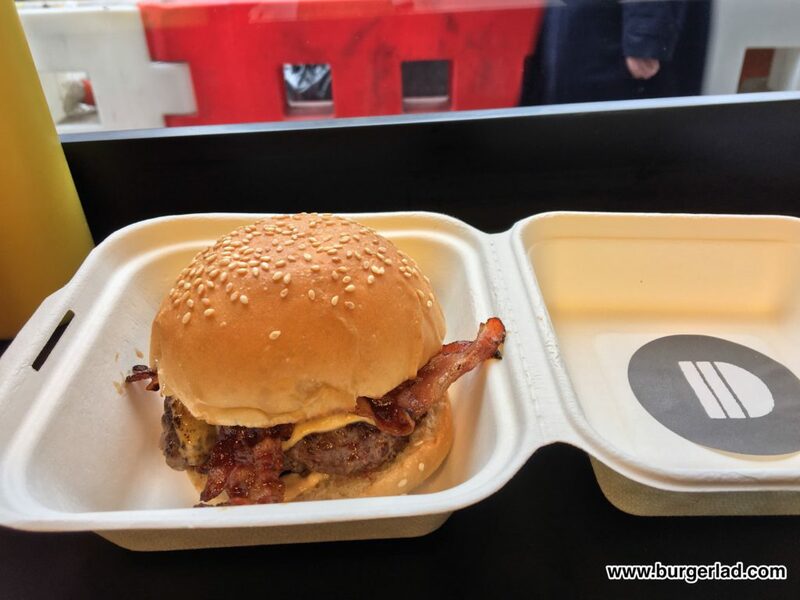 In fact, Bleecker, and in particular their famous Bleecker Black are so revered by the London Burger Blogger Bubble that many of them closed ranks when a review by the Evening Standard’s Grace Dent threatened to burst that bubble. I’m not having the Bleecker Black today (next time definitely). Today I’m going to break my Bleecker duct by sampling their Bacon Cheeseburger. It’s a fantastic story. Lawyer quits job and moves from London to New York (Bleecker is named after the famous Bleecker Street in the New York City borough of Manhattan). An old van is converted into a food truck as the London street food scene takes its first steps. Accolade after accolade follows and 2015 sees a permanent location opened in a kiosk at Old Spitalfields Market. My first Bleecker experience is at the newly opened Victoria restaurant which has room for a dozen-or-so stools and is also good for take-outs. A short 5 minute walk from Victoria underground station brings us to a modest-sized eating area which has a New York-inspired mural on the wall and inviting smells coming from the open plan kitchen. I’m not here for the ambience. I’m here for a quality burger (and a Brooklyn Beer) using their signature dry-aged, rare-breed, pasture fed beef. But will it live up to the hype? 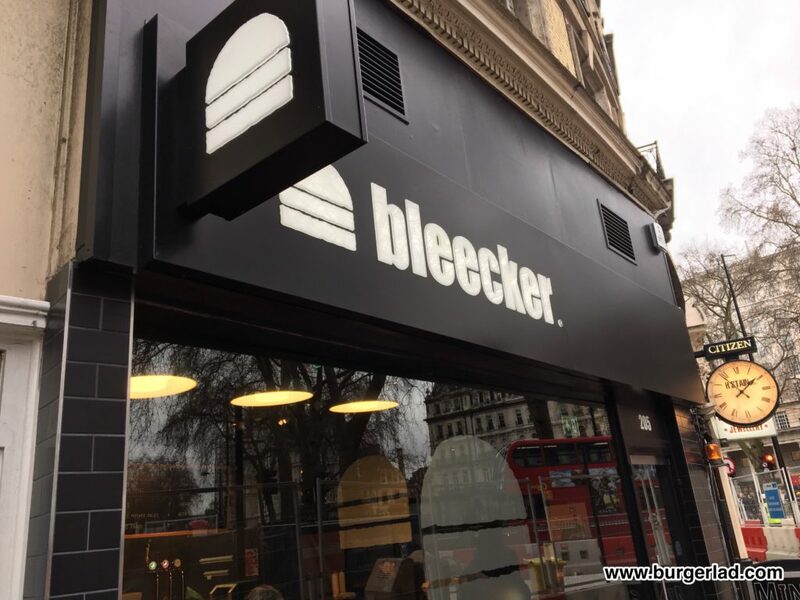 If you are someone that expects to pay £7 and get a burger, fries and a drink for your money then you could be disappointed with your trip to Bleecker. Although, flagship burgers at major chains are starting to encroach on this price bracket. The burger isn’t very big and if you don’t want to walk away hungry you will probably be better placed getting one of their double options. Miss Milkshake went with the Mixed Fries priced at £3.50 but we didn’t think they were particularly special. As for the burger, well that was enjoyable. 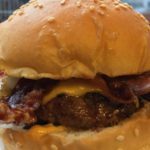 It is a compact build which houses a patty that has been cooked to perfection with a slight pink running through its core. The beef is the undeniable star of the show with its rich, buttery, beefy flavour and course texture – it’s pretty damn fine! 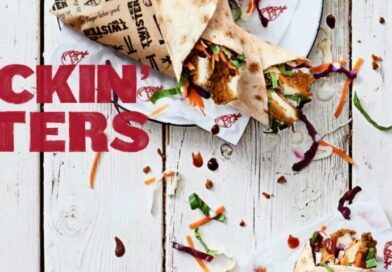 You’ve got crispy, salty bacon which offsets perfectly against the softness of the beef – the quality of ingredients here is undeniably good. 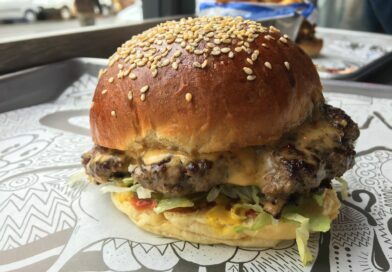 It’s meaty, juicy and it’s certainly a refreshing change to use a more traditional sesame seeded bun as opposed to the over-used brioche. I liked the slightly sharp tang of the fresh onion and the cheese melds everything nicely together to create a rich, gooey burger contrasting against the crispiness of the bacon. My only real negative point would be concerning the sauce. 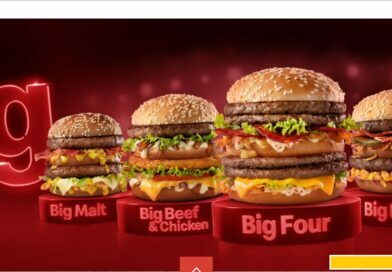 OK, you don’t want a burger that is slathered all-over it to the detriment of the fine components of the build. But if I said to you, that I wouldn’t be able to begin to confirm what the sauce tastes like, you’ll have an idea of how much was on here. Overall though, the Bleecker Bacon Cheeseburger was a very enjoyable experience, and my first venture into the world of Bleecker. 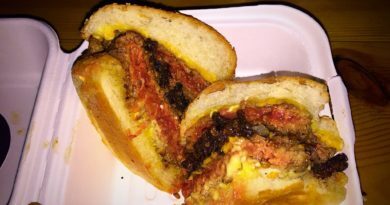 I certainly “get” what all the fuss is about and next time I will definitely be having the Bleecker Black. 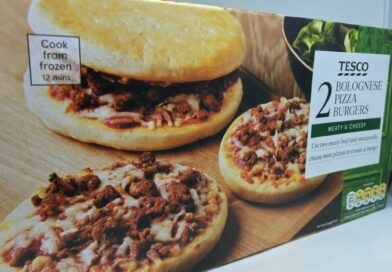 If you’re looking for a meal and a drink for £7 then this might disappoint. 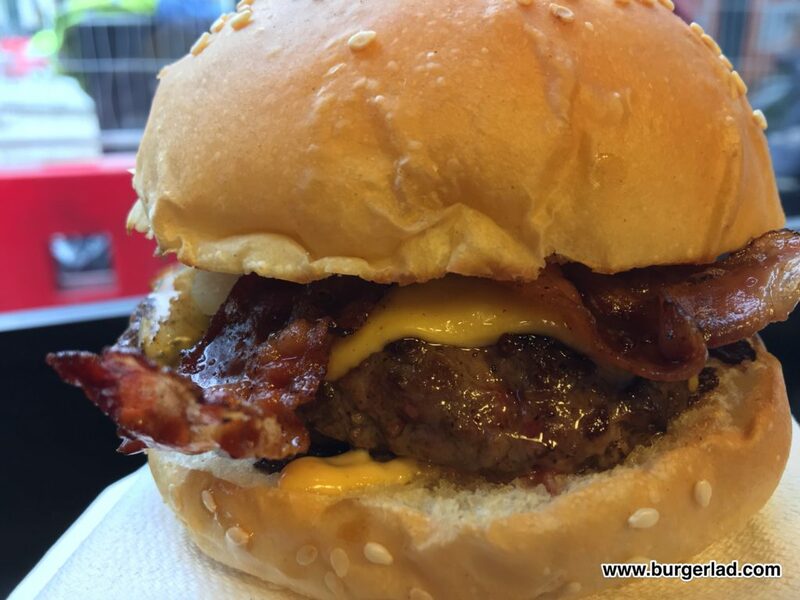 But if you’re a connoisseur of fine, New York-inspired burgers made from fresh, quality ingredients then the Bleecker Bacon Cheeseburger will be right up your street.